Also, in case you missed it the first time, Dilly Dolls is having a HUGE 60% OFF EVERYTHING SALE!!!!! 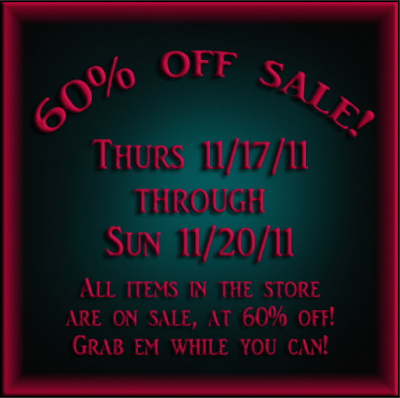 That's right EVERYTHING in store is 60% OFF!!! From now until Sunday 20th November, so HURRY along to the store for some AWESOME deals!! !